Britain has a special relationship with Israel that is little recognised in the mainstream media but unmissable in light of the killings in Gaza. With more than 110 protesters dead, Britain is in effect defending Israeli actions. The British government has not, as far as I have seen, actually condemned Israel for the killings. Rather, it has simply “urged Israel to show restraint” while recognising its “right to secure itself” and also blaming Hamas for the violence. 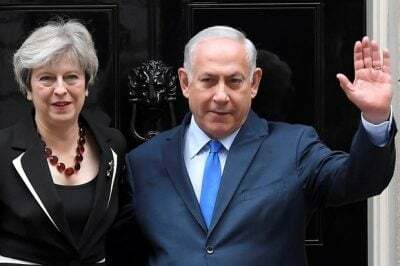 When British Prime Minister Theresa May phoned Israeli Prime Minister Benjamin Netanyahu on 10 May, by which date 40 Palestinian protesters in Gaza had already been shot, it appears she did not even raise the issue. Meanwhile, the government infers it will not even review UK arms exports to Israel after the Gaza massacres which have only been discussed once in the British cabinet. That Britain is supporting Israel over the Gaza killings is true to form. The UK’s relationship with Israel is special in at least nine areas, including arms sales, air force, nuclear deployment, navy, intelligence and trade, to name but a few. Theresa May says that Israel is “one of the world’s great success stories” and a “beacon of tolerance“. To Defence Secretary Gavin Williamson, Israel is a “light unto the nations” whose relationship with the UK “is underpinned by a shared sense of values: justice, compassion, tolerance”. These gushing words translate into consistent British support for Israel internationally, helping to shield it from ostracism. Britain abstained on the recent UN vote to authorise an investigation into the Gaza killings because it would not also investigate Hamas; instead, the UK supports Israel carrying out its own inquiry. Last year, the Foreign Office refused to sign a joint statement at the Paris peace conference on Palestine, accusing it of “taking place against the wishes of the Israelis”. Britain has approved arms sales to Israel worth $445m since the 2014 Gaza war and there is little doubt that some of this equipment has been used against people in the occupied territories. UK drone components are exported while Israel uses drones for surveillance and armed attacks. The UK exports components for combat aircraft while Israel’s air force conducts air strikes in Gaza, causing civilian deaths and destruction of infrastructure. The government admits it has not assessed the impact of its arms exports to Israel on Palestinians. This policy follows the knowledge that Israel promotes an “increasing pattern” of deliberately shooting Palestinian children and that Palestinians generally are “increasingly killed… with impunity” by Israel, as a 2015 Home Office report noted. Since 2000 Israel has killed nearly 5,000 Palestinians not taking part in hostilities, around one-third of whom are under 18. In May 2018, Israel became the first country to mount an air attack using the new generation F-35 stealth warplane, hitting targets in Syria. While F-35 production is led by US arms company Lockheed Martin, British industry is building 15 percent of each F-35, involving companies such as BAE Systems and Rolls-Royce. Nothing is allowed to interrupt the “very close defence… cooperation” between Britain and Israel. British military pilots are even being trained by a company owned by Israel arms firm Elbit Systems. Israel is believed to possess 80 to 100 nuclear warheads, some of which are deployed on its submarines. The UK is effectively aiding this nuclear deployment by supplying submarine components to Israel. According to the commander of Haifa naval base, General David Salamah, Israel’s submarines regularly operate “deep within enemy territory”. Britain has a long history of helping Israel to develop nuclear weapons. In the 1950s and 1960s Conservative and Labour governments made hundreds of sales of nuclear materials to Israel, including plutonium and uranium. The contrast with British policy towards Iran is striking. 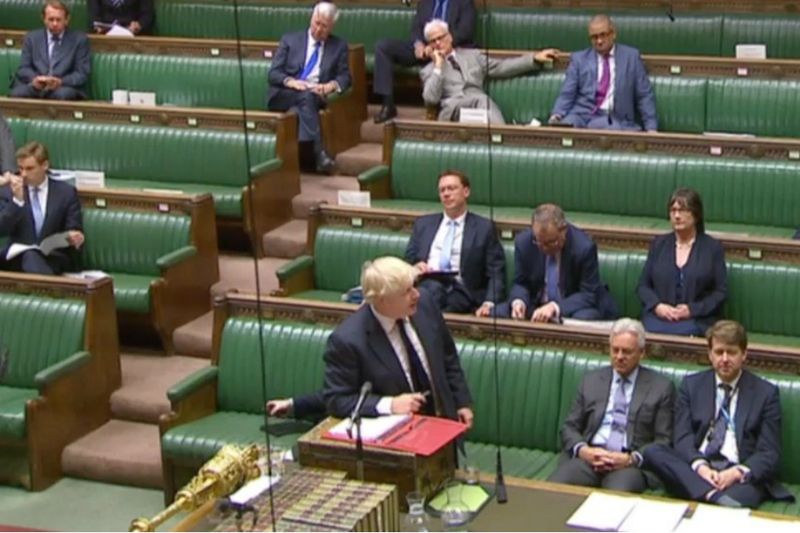 Foreign Secretary Boris Johnson states that the UK is “adamant that a nuclear-armed Iran would never be acceptable” and thus maintains sanctions against Iran. At the same time Britain refuses to adopt any sanctions against Israel, an actual nuclear state. In 1995, the UK and other states agreed to a UN resolution to establish a nuclear weapons-free zone in the Middle East. It is not known whether Britain has ever seriously pressed Israel on this. This week British and Spanish warships, part of NATO’s forces, docked in Israel’s Haifa port to conduct a joint NATO-Israel naval exercise. This follows naval exercises between Britain and Israel in December 2017 and November 2016. Through its blockade, the Israeli navy restricts Palestinians’ fishing rights, even firing on local fishermen. The blockade of Gaza is widely regarded as illegal, including by senior UN officials, a UN independent panel of experts and Amnesty International, partly since it inflicts “collective punishment” on an entire population. Britain is failing to uphold its obligation “to ensure compliance by Israel with international humanitarian law”. Little is known of the intelligence relationship between the UK and Israel. There have been differences such as in 1986 when prime minister Margaret Thatcher ordered a freeze in relations with Mossad after a female Israeli agent lured Mordechai Vanunu, who was trying to reveal Israel’s nuclear secrets, to Rome where he was kidnapped. Former MI6 director Sir Richard Dearlove recently said that British intelligence did not always share information with Israel “because we could never guarantee how the intelligence might or would be used”. But the Telegraph reports that the relationship between MI6 and Mossad has become closer in recent years with both concerned about nuclear proliferation in Iran. The director of the British spy centre GCHQ says the latter has a “strong partnership with our Israeli counterparts in signals intelligence” and that “we are building on an excellent cyber relationship with a range of Israeli bodies”. Documents from 2009 leaked by the whistleblower Edward Snowden show that GCHQ spied on the Israeli military, defence firms and diplomatic missions. But they also revealed that GCHQ monitored Palestinian communications, including the phone calls of President Mahmoud Abbas and his two sons. 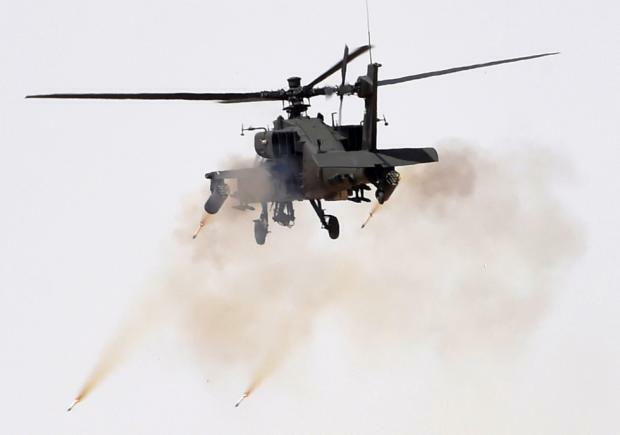 The interceptions took place just three weeks before Israel’s offensive on Gaza in January 2009, suggesting that they may have helped Israel gear up for the offensive. The UK is deepening trade with Israel “as we leave the EU” and has established a joint trade working group. Britain completely opposes the Boycott, Divestment and Sanctions (BDS) movement and rejects imposing even the most basic sanctions on Israel, such as travel bans on those involved in expanding illegal settlements. Indeed, the government appears to be helping Israel counter the BDS movement. In September 2017, then communities minister Sajid Javid met Gilad Erdan, Israel’s “strategic affairs” minister in charge of combating the BDS movement, to discuss “steps to counter anti-Israel delegitimisation and BDS”. Rather, the UK wants trade relations to go from “strength to strength“, bolstering the UK’s position as the primary Israeli investment location in Europe. The UK is aware that there are more than 570,000 Israeli settlers in the occupied territories and its formal position regards the settlements as illegal. Yet this is meaningless in light of actual British policy, which is never known to press Israel strongly to end settlement building or the occupation. The UK simply calls on Israel to “ease” restrictions on Gaza, and rather than demand an Israeli withdrawal from the occupied Golan Heights, Britain only calls on Israel to “uphold its obligations under international law”. Israel’s policy in the occupied territories has been described by human rights body B’Tselem as an “unbridled theft”. Hundreds of millions of dollars’ worth of goods produced in these settlements are exported internationally each year, including oranges, dates and spring water. Yet Britain permits this trade and does not even keep a record of imports into the UK from the settlements. Indeed, Boris Johnson has explicitly said that it is the “policy of the UK” to trade with the illegal settlements and that this will continue. This policy violates UN Security Council resolutions which require all states to “distinguish, in their relevant dealings, between the territory of the State of Israel and the territories occupied since 1967”. Britain has a long history of supporting Israeli aggression. As the mandatory power in Palestine from 1920 to 1948, Britain enabled the gradual takeover of Palestine by the Zionist movement. When the Arab revolt against Britain and its Zionist proteges broke out in the late 1930s, the British army brutally crushed it. The UK supported Israel’s brutal takeover of Palestine in 1948 and also aided Israel’s 1967 war, having furnished Israel with hundreds of British tanks. Two reasons are clear in explaining current British policy. One is commercial: arms exports and trade are increasingly profitable to British corporations. The other is that UK policy towards Israel is to a large degree determined in Washington and by London wanting to curry favour with the US and not challenge its closest ally. “Israel is an important strategic partner for the UK”. Patel was forced to resign last year after it was revealed that she held secret meetings in Israel with key officials, including Netanyahu. Most significantly, she visited Israeli military hospitals in the Golan Heights where Israel treats anti-government fighters involved in the Syrian war, including members of the al-Qaeda affiliate al-Nusra, which Israel is seen as effectively supporting. Patel even wanted to give British aid to the Israeli army. Britain effectively backs Israeli military policy in the Middle East while it has carried out more than 100 clandestine air strikes inside Syria against government, Iranian and Hezbollah targets. Israel is seen as an ally against Syria and Iran – Britain’s two main enemies in the region. London increasingly regards Israel as a strategic asset, especially now that the old Arab-Israeli conflict has largely disappeared, meaning that Britain can more easily back both Israel and its despotic Arab allies at the same time. The Palestinians are the expendable unpeople in this deepening special relationship.